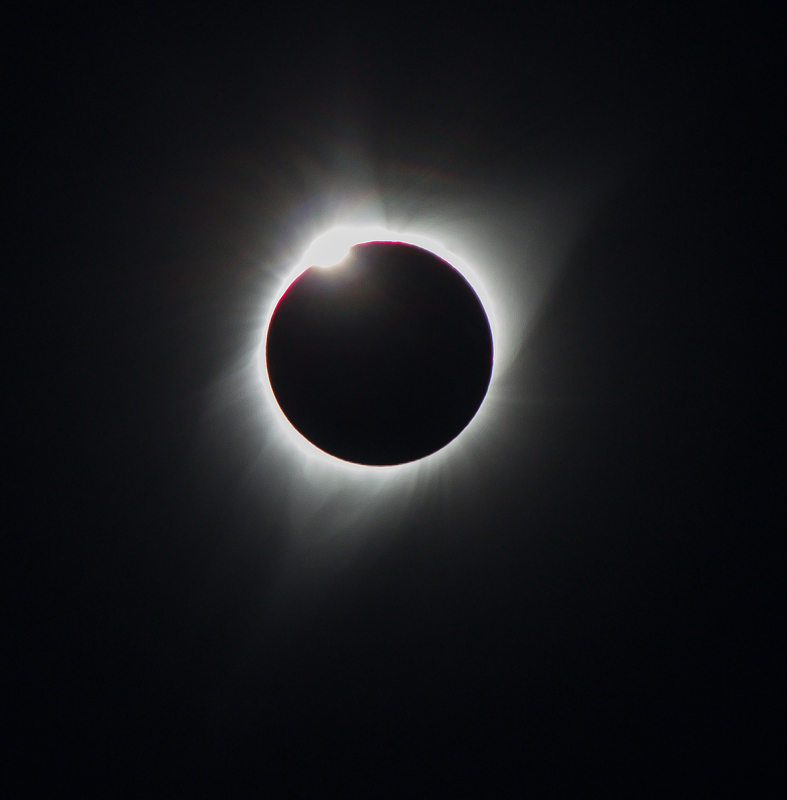 For those lucky enough to see it, the total solar eclipse today was amazing. 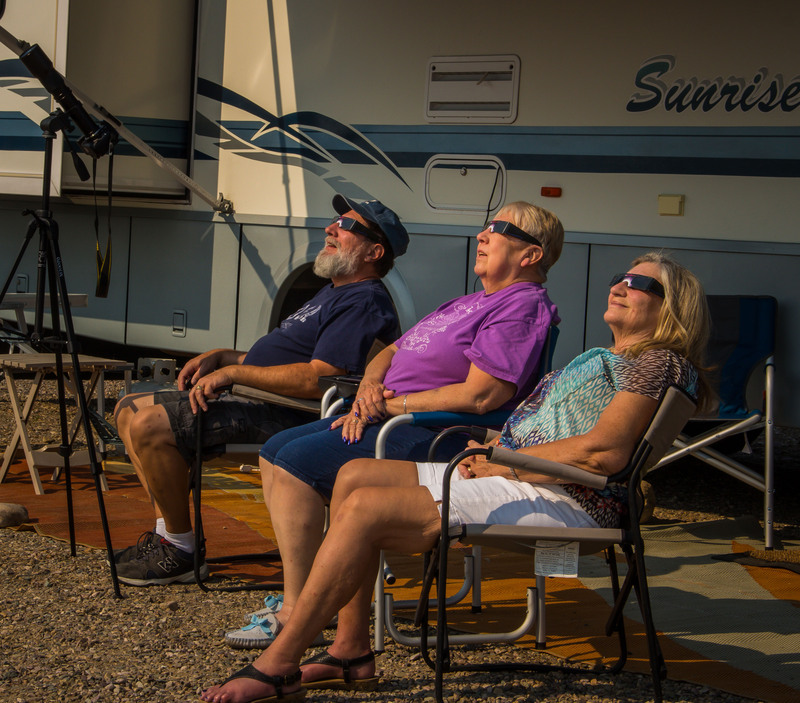 We viewed it in Challis Idaho. The RV park we stayed in was buzzing with excitement all morning. 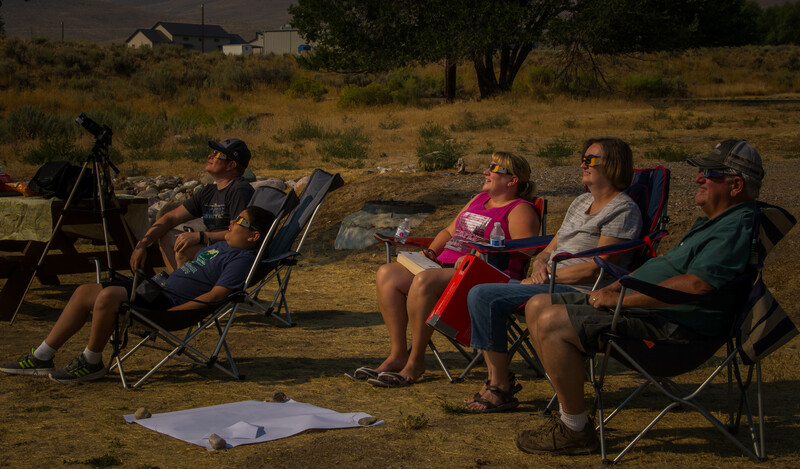 For us the moon started taking a bit out of the sun at 10:13 AM and we looked up through our approved solar glasses every few minutes as the lunar disc crawled across the sun. As it neared totality the temperature dipped noticably. Then at 11:30 it got dark, the temps dropped some more and we could see the corona of the sun around the moon with no eye protection. 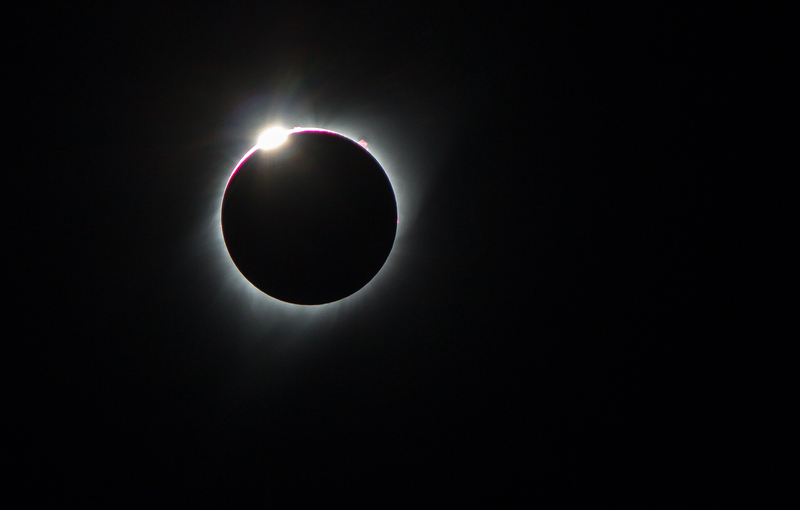 Then came the diamond ring glistening at the upper left corner of the disc. Then suddenly the blaze of the sun peeked over the upper right and it was bright again. The moon then continued to reveal more and more sun and the temps climbed again. Darkness was quickly gone. Glasses back on to watch the second half of the show. The period of total coverage by the moon was very very fast. Where we are in Idaho it was said to last 1 minute and 4 seconds. It was the fastest minute of our lives. All around us there were gasps, applause, cheers and for us stunned, happy silence. What a cool thing to witness. And aren’t we so lucky to be able to be at the right place at the right time. We came all this way for what? 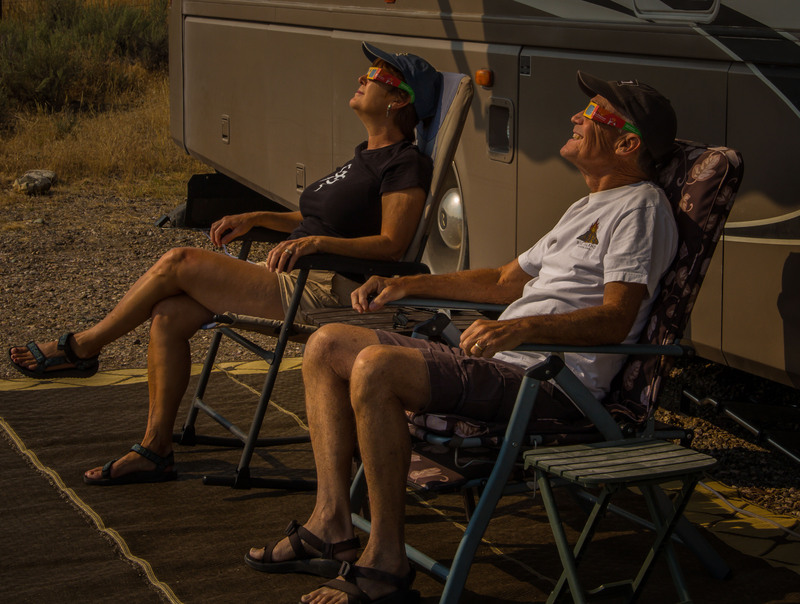 This entry was posted in Idaho, RV Travel and tagged Challis ID, Total Solar Eclipse. Bookmark the permalink. I trust you we’re eye careful. Wonderful pix. 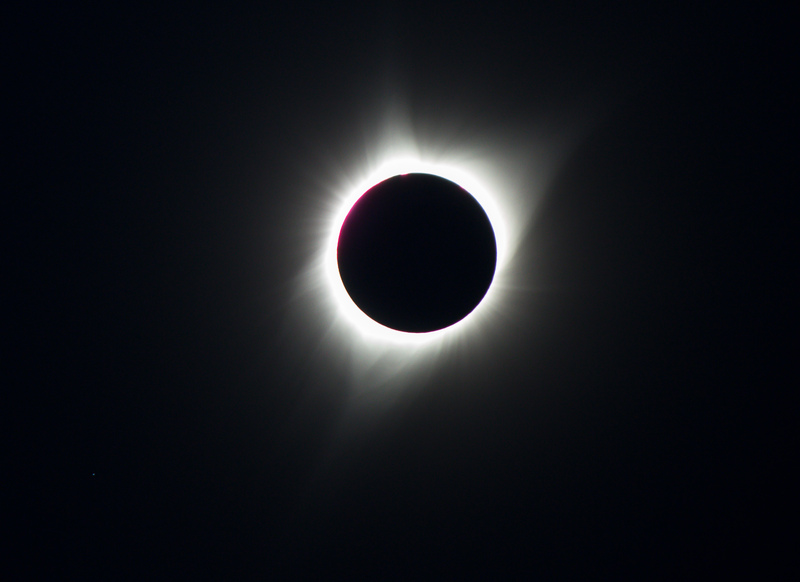 These pics are “totality” amazing! Thank you for sharing your experience with us. 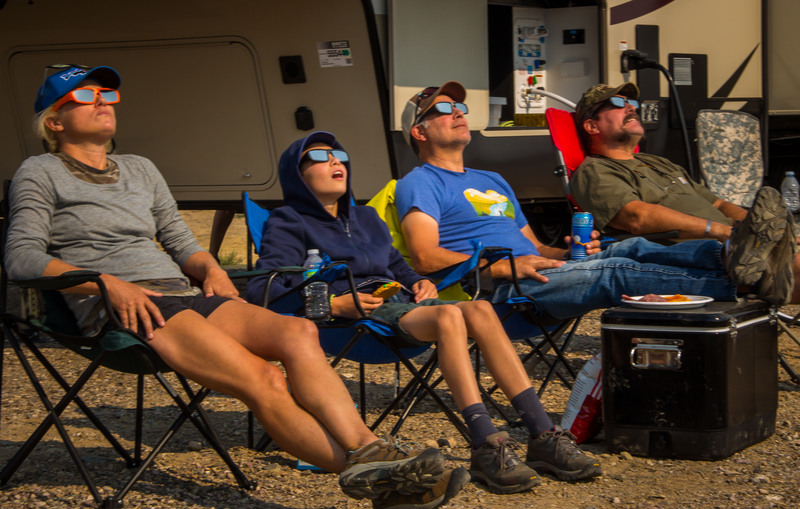 What a rare opportunity to see a total solar eclipse. Totality changes everything. We are so glad we changed our plans to be at a good viewing location. Randy – some of the best pics I’ve seen anywhere. Well done! 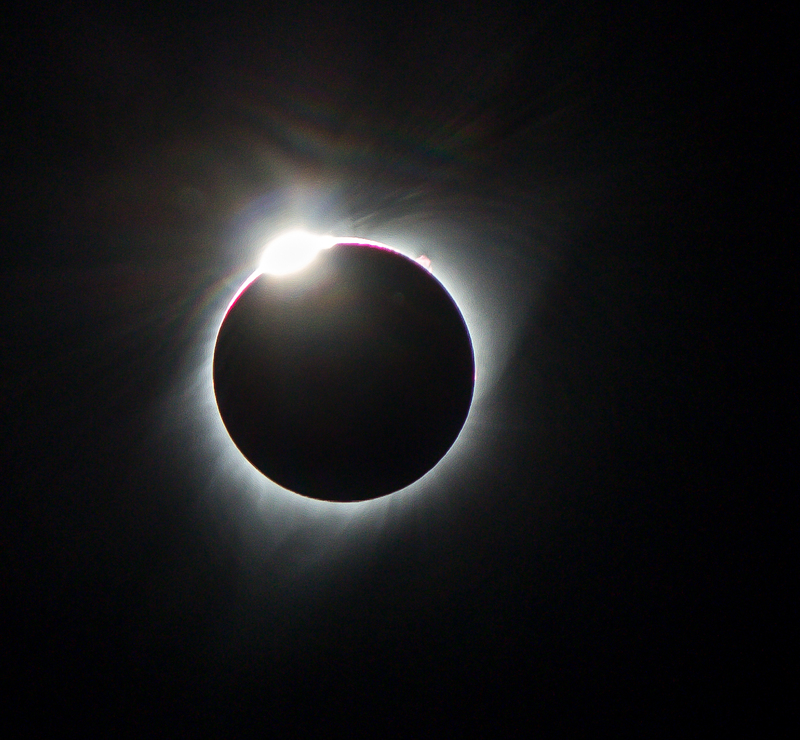 So cool you guys got to see the full eclipse- great pics!